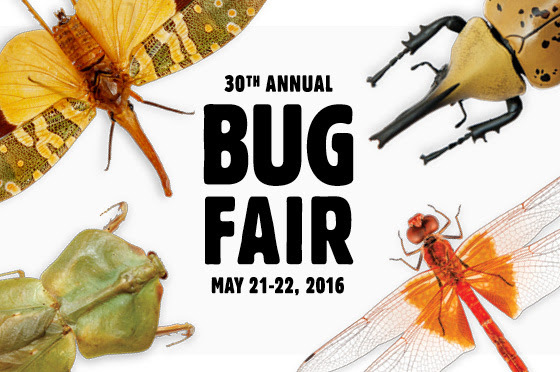 Don’t Miss the 30th Annual Bug Fair! Join us for a two-day festival celebrating our winged, multi-legged, squirmy, and sometimes bug-eyed friends. Our highly-anticipated yearly festival features a variety of exhibitors – from exotic insect collections to pet tarantulas, bug-related products, and bug-inspired artwork and jewelry. It’s a weekend filled with bug hunts, performances, up-close encounters with crawly creatures, a special cook-off with your favorite Bug Chefs, and more! Don’t miss this event 30 years in the making. Purchase your tickets today.